MXit ("mix-it"), a mobile-phone-based instant-messaging company born in Stellenbosch, could be one of the most successful South African technology startups in our history. Over 18 million registered users around the world, and over 20 million log-ons per day, make them a significant player in the instant-messaging world. 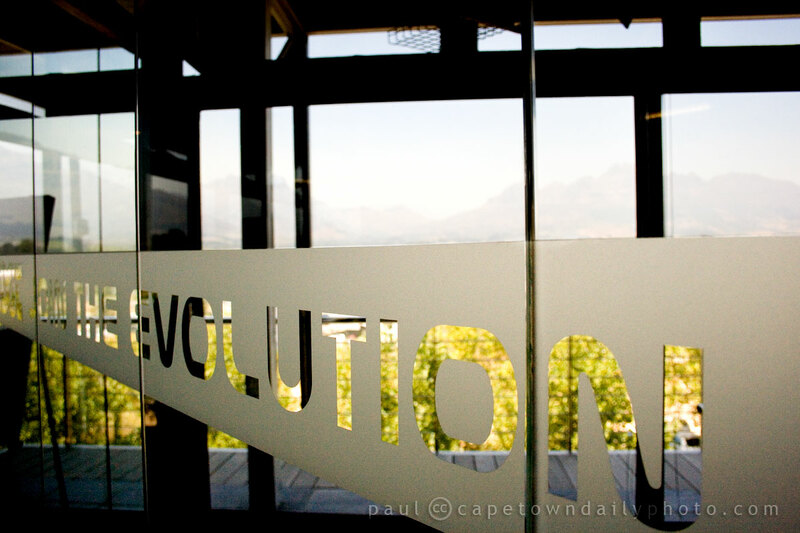 I mentioned in my previous post that we had the opportunity to visit two technology startup companies in Stellenbosch - the first being FireID, and the second being the larger MXit. I'm not sure if you can see it clearly from this photo, but the view from their offices is spectacular, seemingly the perfect view to stimulate creativity. The exciting thing about MXit is their vision of expanding their operations in Africa. South Africa and Africa in general have a huge number of mobile phone users. It's perfectly normal for people in even the poorest townships to have mobile phones, as they are generally the only way for folk in these communities to keep in touch. MXit offers a *very* cheap alternative to SMS text messaging, as well as a host of other features and services. Across the world, the internet has become a tool of learning, a way to make money, and a means of cheap communication. While many initiatives exist to use computers to expand internet access into deepest Africa, the reality is that due to infrastructure costs it's going to be many years before computers (and stable internet connections) become as ubiquitous as mobile phones. The introduction of MXit into countries such as Zambia, Rwanda and Ghana creates a dirt-cheap means of communication and access to education and information. Find out how to get MXit on your phone or computer here, and if you'd like to learn a little more about it, click here to read the Wikipedia page about their history and services. Posted in General and tagged business, culture, society, startup, stellenbosch, technology on Thursday, 11 February, 2010 by Paul. 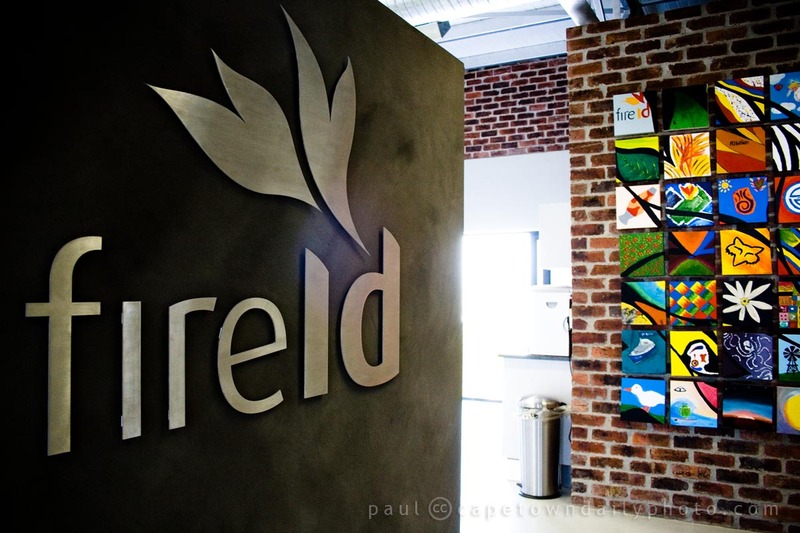 Thanks to Dave Duarte from Huddlemind we had the opportunity to visit the Stellenbosch offices of two Cape Town-based technology startup companies, FireID and MXit. In this post I'll tell you just a little about FireID; if you find tech stuff kinda interesting, then check out their website for more detailed information. In short, if you've used internet banking before you may be familiar with the little security token that some banks give you. When a button on the token is pressed, it generates a brand new password that you can use to sign on to your internet banking site. The idea is that the password is a random set of letters and numbers that nobody (human or computer) can predict; and once you've used the password it becomes obsolete and useless to anyone who might have seen you type it in (or who may have gained access to it in some other way - through key-logging, for instance). These devices are expensive and are yet another thing that you have to carry with you. FireID have written a clever application that works in a similar way, but on your mobile phone. The cool thing is that the FireID application can be used to generate one-time passwords on your phone for many different websites, reducing the need for you to remember a long list of passwords or carry a dozen security tokens. FireID have the most awesome offices and working atmosphere. The offices are modern and bright, and the vibe is relaxed. Their core working hours are from 10h00 to 15h00, but apart from that their employees are encouraged to work whenever and wherever they feel they'd be the most productive. Isn't that awesome? I've uploaded a few more photos to an album - click here to check them out. Posted in General and tagged business, startup, stellenbosch, technology on Wednesday, 10 February, 2010 by Paul. I've mentioned previously that we've met several people visiting from our sister city, San Francisco, who've said that Cape Town reminds them of home. San Francisco's Silicon Valley is a world-famous hub of technology and innovation and has been the birthplace of Internet stars like Google and Facebook. A year or more ago a small group of successful entrepreneurs, one of whom had already relocated his Internet startup's Head Office to San Francisico, gave birth to the vision of Silicon Cape. Cape Town, and even South Africa, is filled with bright developers, business people and entrepreneurs, and the idea behind Silicon Cape is to encourage the birth of Internet startup businesses and to promote local and foreign investment in the industry. If you're interested in getting involved with Silicon Cape, take a moment to sign up on the website. Make a few friends, and keep your eye open for the next networking event. Posted in Events and tagged people, technology on Wednesday, 25 November, 2009 by Paul. Think Big. Yellow cupcakes with rockets. "Think Big" is a part of the mindset that the CIO of the company I work for tried to instil in our IT department at a recent IT visioning meeting. 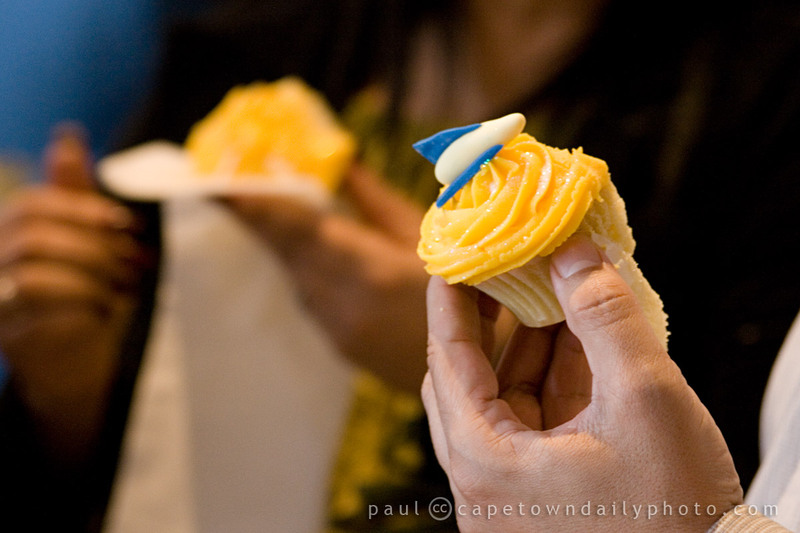 The rocket on top of this yummy cupcake, he explained, symbolises the concept of thinking beyond what you know today to be possible. Just this month a satellite developed by the staff and students at Stellenbosch University (one of the large universities in the area) was launched from Kazakhstan, aboard a rocket. The satellite named SumbandilaSat (a Venda word meaning "lead the way") is the second one to be launched by South Africa and will be used by the government mostly to monitor crops, dam levels and population migration. Still far from the capability of satellites portrayed in the movie Enemy of the State, this one represents another leap forward for South Africa's ambitions to have their own little bit of space. :) Well done, guys! Posted in News and tagged food, technology on Thursday, 24 September, 2009 by Paul.